There are many reasons for getting improvements for your teeth. My favorite is a beautiful smile! Dr. Bao said "I can help you get a new affordable crown in just a couple of hours." Promenade Dental Care is excited to announce that it is now offering multiple ways to improve your smile for the upcoming holidays season. These include tooth-colored fillings and crowns that are done in one visit using our CEREC CAD/CAM technology. There are many reasons for getting smile improvements as there are well… smiles! Promenade Dental Care has fast affordable fixes that will set your inner extrovert free and get you out there looking younger, healthier, more confident, and socializing in no time at all. Are you happy with the color of your smile? Is the color uneven? Do your roots show because of gum recession or aggressive brushing? Are any of your teeth chipped? Do you have any silver or metal color fillings or crowns that show when you smile or laugh? Are your teeth worn down? Irregular length or shape? Is your gum line uneven? 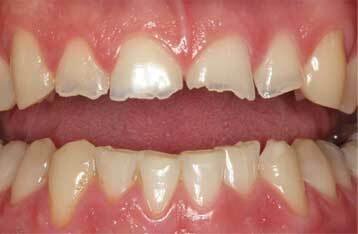 Do gaps make you self-conscious or continually trap food? Promenade Dental Care can solve these issues in only a visit or two with tooth-colored fillings and crowns that are made right here in the office. It also has teeth whitening, laser gum treatment and porcelain veneers that will give you that beautiful smile you want and deserved. Whether you want to look younger or you’ve spent a lifetime hiding your smile because you feel everyone sees what you’d rather not have them see, the solution is just a phone call away. Call Promenade Dental Care today at 951-296-3011.